He has very rich experience both in Mining operation and Marketing / Export / offering of Technical Services of Explosives & blasting, ANFO, Bulk explosives, Blast designing, Controlled Blasting etc. Visited number of countries in Africa, South East Asia etc. He was associated with number of mining PSUs and explosives organizations, namely MOIL, BALCO, Century Cement, Anil Chemicals, VBC Industries, Mah. Explosives, Solar Explosives etc. Later, he gained very good experience in Infrastructure Industry for planning, execution and implementation of Aggregate quarry operation including crushing. He was Vice President (Marketing and technical Services) in one of the Infrastructure Company located at Pune (India) working for large Infrastructural companies such as IVRCL, L&T infra, B.G.Shirke Construction Technologies, J.M.Mhatre Infrastructure, IJM Infra etc., for Road projects and EPC activities. Later he became Mining Head in one of the biggest construction & infrastructure group in Pune (India) having annual turnover about $ 100 million. Now he joined an Infrastructure company based in Nagpur India) as Adviser Blasting Tech, working for a Highly Mechanized Underground Metal Mines project of PSUs with equipment such as Sanvik Drilling Jumbos, LHDs, LPDTs etc. He has also studied extensively Environmental Engineering. He is also a Consultant. He has presented number of technical papers in many of the seminars and journals on varied topics like Overburden side casting by blasting, Blast induced Ground Vibration and its control, Tunnel blasting, Drilling & blasting in metalliferous underground mines, Controlled blasting techniques, Development of Non-primary explosive detonators (NPED), Hot hole blasting, Signature hole blast analysis with Electronic detonator, Acid Mine Drainage, etc. * Overburden Blast Casting with SMS Explosives – A case Study, Special Issue on Explosives & Blasting, Indian Mining & Engineering Journal, November 1998. * Control of adverse effects of Explosives Blasting in mines by using Shock tubes (Non-electric) Initiation system and its Future challenges; Advances in drilling and blasting techniques- Procc. of DRILL BLAST ’99 – National Seminar on drilling and blasting, Bhubaneswar, (India) January 2000. * Overburden side-casting by blasting – An effective way of reducing operating cost in large opencast mines; Journal of Mines Metals and Fuel, November 2004 (Sp., issue on development in surface mining technology – Calcutta, India). * Overburden side-casting by blasting – Operating Large Opencast Coal Mines in a cost effective way; Procc. of 1st Asian Mining Congress – Asian Mining: Towards a new resurgence (Vol. I), Seminar organised by MGMI at KOLKATA (India) from 16th – 18th January 2006 (pp. 307 – 315). * Non-Primary explosive detonator (NPED) – An eco-friendly initiating system for commercial blasting is the need-of-the-hour for Indian mines; Journal of Mines Metals and Fuel, March 2006. * Open pit blasting with in-hole delays and / or pre-splitting of production blast – Measures to control adverse impact of complex vibration arising due to presence of underground workings in the vicinity or in otherwise sensitive areas; Mining Engineers’ Journal, August 2006. * Tunnel blasting – emulsion explosives and proper blast design are the pre- requisite for better efficiency; Journal of Mines Metals and Fuel, September 2005. * Improved Blasting technique is the key to achieve Techno-Economics of high production Underground Metalliferous mines; Indian Mining & Engineering Journal, December 2006. * Enhancement of drilling & blasting efficiency in O/C & U/G mines – Use of modern precision drilling, electronic delay detonator system and other sophisticated equipments with new generation emulsion explosives are the need-of-the-hour; Mining Engineers’ Journal, February 2007. 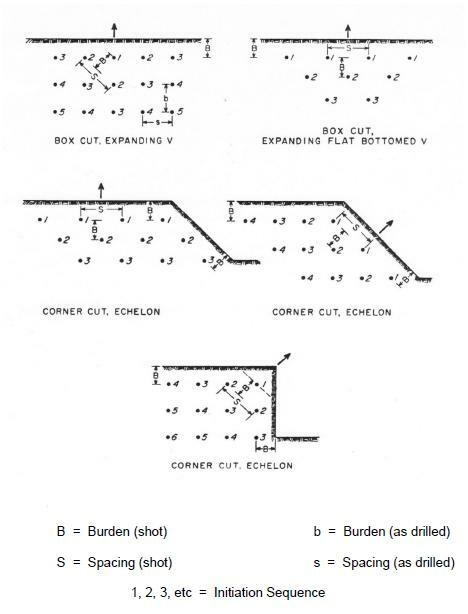 * Improved Blasting with precision drilling patterns in Underground Metalliferous mines; Procc. ‘Golden Jubilee Seminar’ on Present status of Mining and future Prospects, organized by MEAI (6th to 8th April 2007) at Hyderabad, India. * Reduction of Ore dilution/Ore loss in underground metalliferous mines, lies on mitigation of blast induced vibration to a great extent; Mining Engineers’ Journal, August 2007. * Controlled Blasting Techniques – Means to mitigate adverse impact of blasting in Open pits, Quarry, Tunnel, UG metal mines and construction workings; Mining Engineers’ Journal, January 2008. 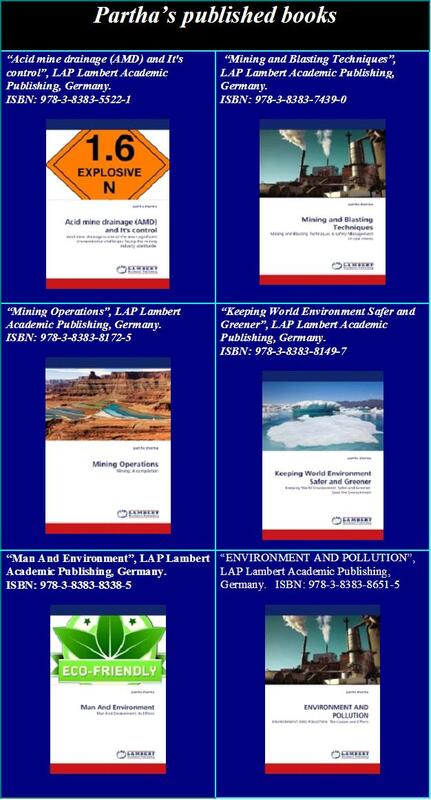 * Controlled Blasting Techniques – Means to mitigate adverse impact of blasting; Asian mining:Solutions for development and expansion(Vol. II), Procc. of 2nd Asian Mining Congress, organized by MGMI at Kolkata (India) dt. 17th – 19th January 2008 (pp. 287 – 295). * ‘Electronic detonators – An efficient blast initiation system, Mining Engineers’ Journal, India, October 2008. * ‘Electronic detonators – Results in substantial techno-economic benefits for large mining operations’, Mining Engineers’ Journal, India, February 2009. * Innovative “Signature-Hole Blast Analysis” Technique to predict and control ground vibration in mines; Asian mining – Resurgence of mining in Asia: Prospect and challenges, Vol. II (pp. 211 – 223), Proceedings of 3rd Asian Mining Congress (22nd – 25th January 2010, at Kolkata, India), Organised by MGMI, Kolkata. * Charging and blasting in hot strata condition in opencast coal mines: identifying crucial aspects for effective safety management; Journal of Mines, Metals & Fuels; India; January – February 2010; (pp. 21). 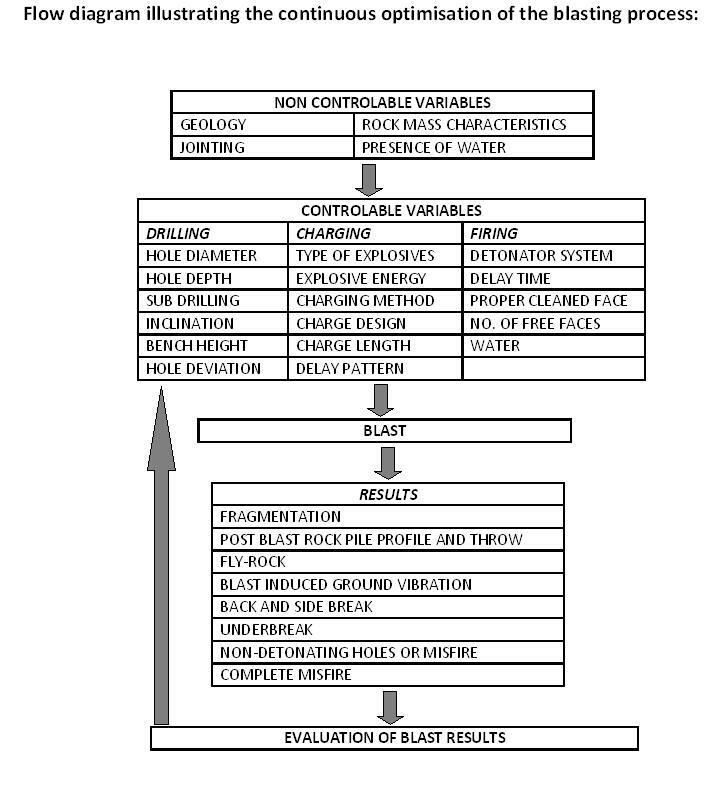 * Techniques of controlled blasting for mines, tunnels and construction workings – to mitigate various blast induced adverse effects; Journal of Mines, Metals & Fuels; June 2010 (pp. 152-161). * Factors in designing of blasts, flyrock, industrial explosives used and safe operation of bulk explosives in opencast mines; Journal of Mines, Metals & Fuels; September 2010 (pp. 255 – 261). * Carbon Footprint reduction in Mining and Blasting operation – Control of Greenhouse Gas emission is essential to promote Green Environment; Proceedings of 4th Asian Mining Congress (29th – 31st January 2012, at Kolkata, India), Organised by MGMI, Kolkata. * Bringing Sustainability in Coal Mining Operations is need-of-the-hour; Proceedings of 4th Asian Mining Congress (29th – 31st January 2012, at Kolkata, India), Organised by MGMI, Kolkata. 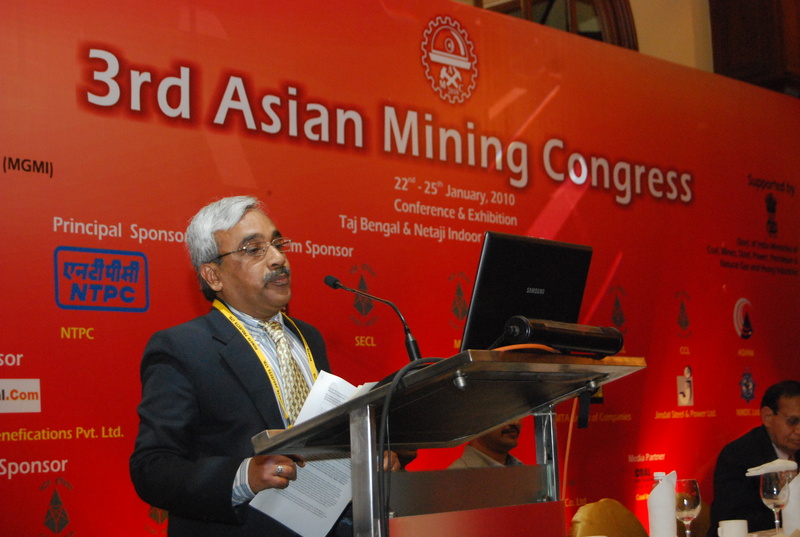 Partha at 3rd Asian Mining Congress, held at Kolkata, India in January 2010. 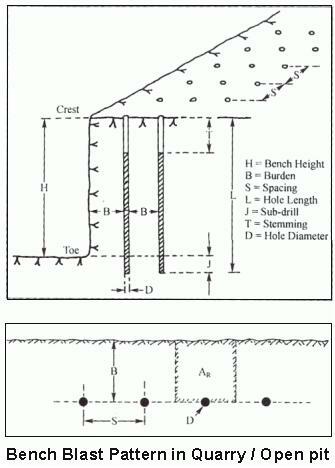 Design and study of most effective Drill-Blast pattern is a very fine art and it has much more influence on stability of underground structures.Thanks a lot for your scientific approach and very deep study in this Domain. I am working my way thru your article on blasting. It is a very fine and explicit piece of work. We have a unique issue. If you go to our web site http://nemc.info you will see that we have developed a new mining/processing/ship loading method that is far cheaper then the standard method. We accomplish this by (1) multi point mining -mining 3-8 points at once- to be sure we send the plant constant grade while using every bit of available mineralization to maximize inventory; (2) fully integrate reduction from blast through final grind, (3) eliminate the deep water port as shown in the site, and (4) a Type A hands on Tower Boss in a Control Tower is in complete control of the entire operation: mining, processing, ship loading. In fact the product we mine today can be loaded aboard ship today: very positive for cash flow. In our example of hard magnetite rock, we aim to load 550mt/h per mobile production station. When all points which are mining different grades are blended at plant, they produce 3,750mt/h of contract spec ROM. We load the blast to a gravity rock screen, like a large multi-layer or multi-grade top soil screen. The oversize tumbles back off the bars to the ground and is broken 2-3 times with a very large rock hammer. Then eventually reloaded to the screen. Since it is a gravity screen each 10’X10’X10′ bucket load takes about 10 seconds to work thru all four screen levels. The second screen layer feeds close circuited Jaw, the next the close circuited Cone, the next the slurry pump, as all reduced ROM is pumped to plant. The objective is to attain -5 slurry. All of this eliminates the trucks, truck ramps, gyratory and conveyor, items which when they fail, stop production and achieves reduction at a major energy savings. As most reduction is completed in the pit, the plant has at most two highly efficient reduction stages: HPGR and Vertimill. As to blast, I would like to achieve the highest bench possible, perhaps 7 + meters and the smallest particle size possible, perhaps -500mm with a large percentage -5mm. I see from your illustrations that the large go to the front edge of the blast, thus they will be easy to doze out and crunch with our rock hammer as we dress the blast pile for back hoe loading. If we hammer 100mt/h with our ground unit, we break -600 to -350mm pieces, and apply three blows to each of these pieces, we should reduce them to -250 to -100mm before reloading to the screen. Obviously, the better we do with the blast the less we need do with machines and the more that falls through the pump screen without further reduction for direct transport to plant as slurry. What is the smallest particle distribution can we get from the blast with hard magnetite rock -5.5-6.5? It seems we should use 6″ holes. If we doze out the large particles at the head of the blast, and crunch them, and if we aim for a -500 blast, what will the particle distribution look like then. That is if we segregate the accessible large, how many large will remain in the rest of the pile? When we dress the pile we will be able to separate some of those perhaps. Can we use more blast power in the holes to fill them within a meter of the surface and then doze two meters of crusher rock on top of them to get better pulverization from the top most virgin rock? How do we maximize the small stuff within the blast? Can we drill/blast a series of close together holes near the face to reduce the oversize there? I hope you are not caught in the rains. I am a tunnel engineer and looking for pumpable explosive method for hard rock tunnel work.i need more details about this and whether it is possible in India,is explosive loading for tunnel is faster and efficient and any advantages compare to present loading procedure.pl look in to. I’m Ghulam Mehdi from Pakistan.I’m a student of BS(MIE) 5th semester.Really awesome information posted. Sir I need some advice.I am fond of studying in Mining Engineering.After few month I will submit my project thesis.So which topic I should choose and in this regard How can you help me!!! I ‘m waiting 4 your kind reply.